We're at the halfway point and Ep.6 saw emotions run high as the bakers had to 'raise' their game and 'prove' themselves. 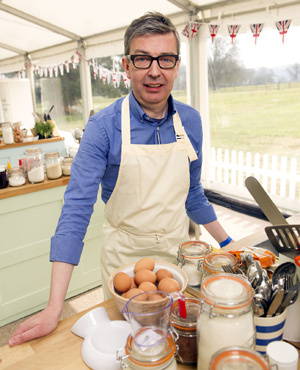 Episode 6 of The Great British Bake Off was always going to be a battle of the blokes. The remaining ladies, Ruby, Francis, Christine, Kimberley and Beca, were looking far too strong to be likely bets for the firing line this week. 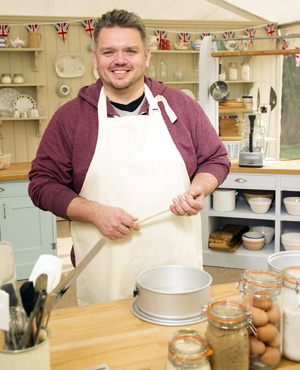 Howard and Glenn were the two men left now the show has reached its halfway point and faced the judges' scrutiny after some decidedly dodgy bakes in weeks gone by. Paul Seemed To Be Particularly Mean This Week. 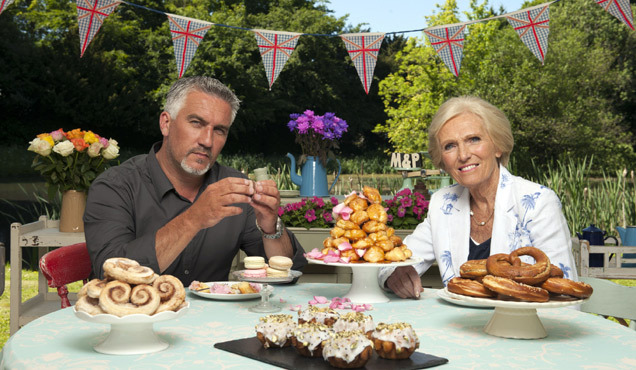 Howard and Glenn were both bakers who started the competition promisingly: Glenn gained a reputation for giant creations whilst Howard's experimentation and precision received Mary and Paul's compliments. However, as the show's oven heats up and the skilled cooks are separated from the scruffy, both men have been clinging on by their teeth as they fall out of their depth. This week's sweet pastry themed trio of bakes involved sweet bun showstoppers (oh the puns, what puns! Tighter? Rounder? Bigger! ), as well as signature tea loaves and a devilishy tricky French Apricot Couronne. 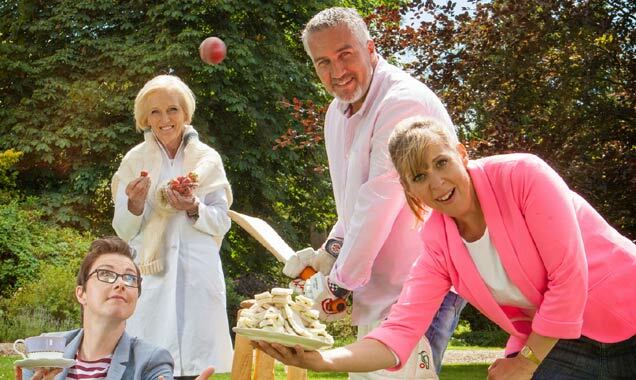 Howard's inventive use of hemp seeds in his tea loaf provoked sniggers from presenter Mel and confused looks from Mary Berry who was wondering what all the giggling was about. "This is the legal kind of hemp," explained Sue, "There's an illegal kind that's used to make naughty cigarettes," she added to more bemused looks from Berry. Howard's hemp flavour was a first on the show, and for good reason. Choosing to dump the unappetising grey dough on the tray to let it bake freeform resulted in a cooked green cowpat coming out on the other side. "This looks like it's going to be rather good for me," remarked Berry screwing up her face whereas Paul was disparaging, saying it was too dry. Seems like no one had the "munchies" for more. 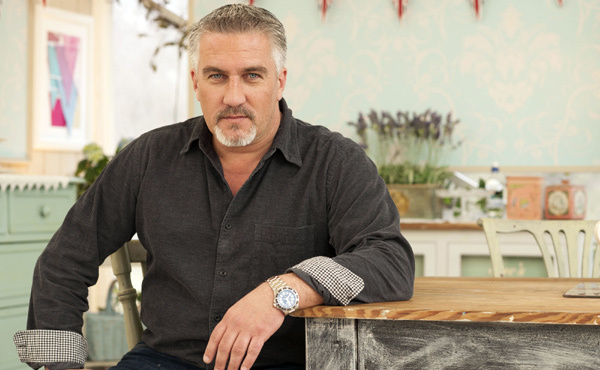 Meanwhile, Glenn's signature Devonshire Pannetone received quizzically raised eyebrows from Paul who asked him why he wasn't going to let it cool in the traditional way - upside down. This resulted in Glenn panicking and building a contraption out of a pan, wooden spoons, skewers and string that looked like the kind of construction Ray Mears would make in the woods to roast a rat on a spit. Glenn's pannetone didn't fall apart but was declared "definitely underbaked" by an unimpressed Paul. Sullen student Ruby's tea loaf looked more like a Sunday joint, garnished with lemon slices but received appreciative chews and particular warmth from Mary. Beca, who'd also been a victim of Paul-induced paranoia, had added her fruit at the wrong time but managed to scrape by in the judging with "the best bake you could have done with that prove," according to Paul. Frances' chai tea bun with a hidden cinnamon swirl was a delight to behold and upheld her reputation for endlessly imaginative creations. Few bakers had even heard of the technical Couronne challenge but they set to work, kneading stretching and proving their dough until they had twice-wound wreaths that "Robert Powell would be proud to wear," according to Mel. The test of the challenge lay in the even distribution of the fruity filling: Ruby confidently left her fruit exposed whilst Christine hid hers away in the doughy folds. Glenn had issues with the snake-like tendrils of his clumsily weaved Couronne but it was Christine's unsatisfying bake and presentation that saw her placed last. "I just don't know how it could have gone wrong," she moaned, forgetting that she'd given us a doomy Saturday Kitchen-style running commentary of her blunders. Ruby was placed first, which received that expression of dead-eyed surprise she's honed after weeks of having her cloying baking pessimism dispelled. 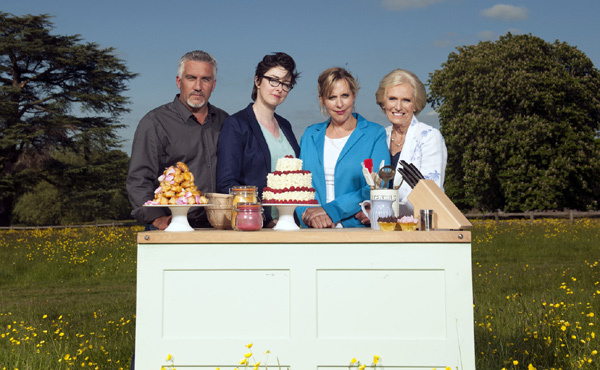 With once-star baker Christine falling behind, it was all to play for in the showstopper: the challenge was to create two sets of European sweet buns, or "Nigel Farage's worst nightmare," as Sue quipped. With most bakers going for the irresistible French brioche, the aim seemed to be to send the judges into a sugar coma and obliterate their arteries. Beca's dates had been soaked in rum for five days whilst Kimberley whipped up a kumquat marmalade in half an hour. The Show Takes A Darker Turn: There Were Plenty Of Tears In Episode 6. 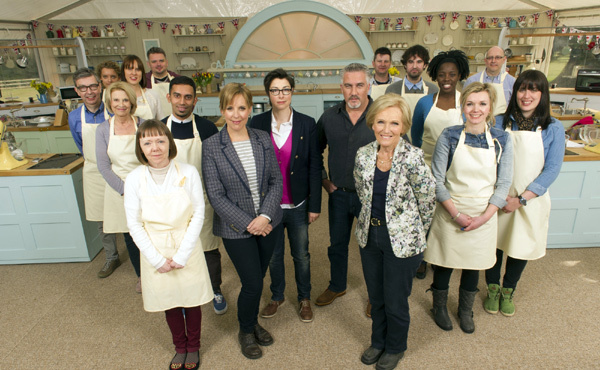 Mid-bake, the focussed psychologist Kimberley gave her opinions of the other bakers. Where she giggled at Glenn and Howard, her serious voice told us she's threatened by Ruby and Christine. There was plenty of oven-crouching in this tense challenge as neatly rolled buns expanded and sprawled in the oven. Frances went for an irritatingly ingenious combination of noughts and crosses - hot cross buns and rhubarb and custard Czech Kolache noughts - and was praised by judges. Ruby dumped her chocolate brioches on the table with a grunt of "sorry," but was rewarded with practically orgasmic sounds from the presenters and gluttonous nods from the judges. Glenn's brioches collapsed as he took them off the tray and his caramel kannelbullen unravelled on cooling. The baker was beside himself with tears and couldn't get the words out to speak to the camera. "I think it's probably inevitable," he quivered. However, it was Howard's gorgeous-looking peachy buns that came under fire for being bland and his Baumschnecken were peculiarly dry after the butter had somehow evaporated. Needless to say, he was given the boot this week and said a tearful farewell, Ruby lifted the star baker crown and Glenn breathed a humungous sigh of relief, saying "It should have been me." So Long Howard, Our Sweet "Little Snail!" - Glenn Lives To Fight Another Round. The show came under fire afterwards for creating an X Factor-style arena of emotions, cruel judging and sob stories but the truth is: Howard just couldn't cut it and wouldn't have made it to the final anyway with his bungled bakes. Back to the council work you go! Next week we're back at primary school: suet!